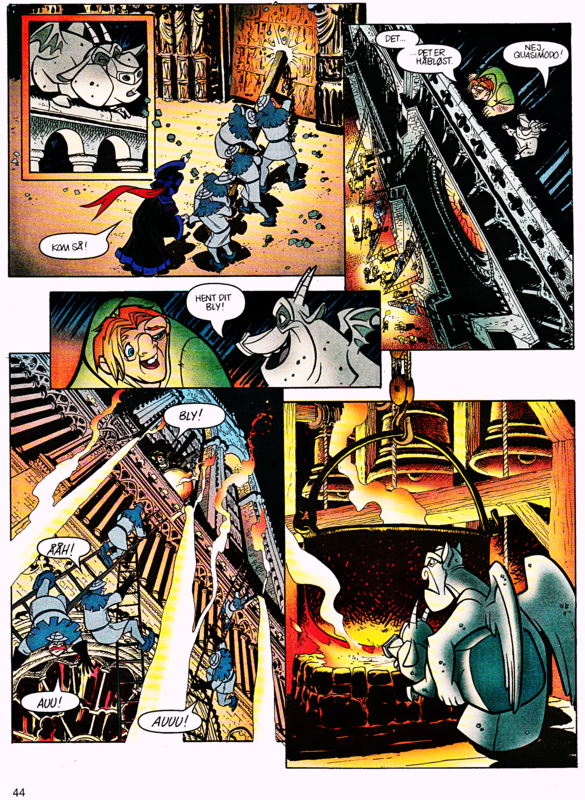 Walt 迪士尼 Movie Comics - The Hunchback of Notre Dame (Danish Version). 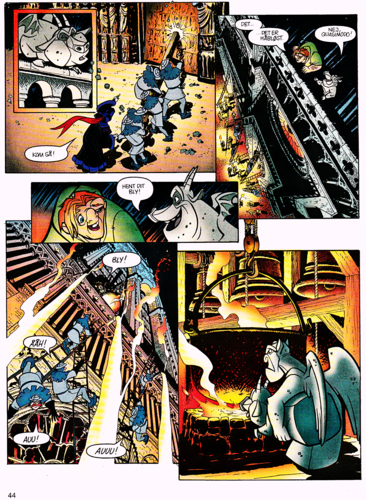 Page 44 of the Official Walt 迪士尼 Movie Comic of "The Hunchback of Notre Dame " (1996). HD Wallpaper and background images in the 华特·迪士尼角色 club tagged: walt disney characters walt disney movie comics the hunchback of notre dame quasimodo hugo victor judge claude frollo. This 华特·迪士尼角色 photo contains 动漫, 漫画书, 漫画, 卡通, and 漫画卡通. There might also be 彩色玻璃窗 and 彩色玻璃窗口.